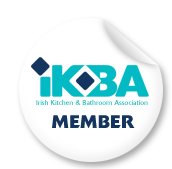 The IKBA will host a one day kitchen design workshop on Saturday October 6th, 2018 in The Paramount Hotel, Dublin from 11:00 until 3:00. The course costs €250 and is ideal for you if you are considering a career in kitchen design or planning an extension, new build or kitchen renovation. Step by step advice is given on every aspect of planning your new kitchen from style and inspiration through to functional layout and budgeting. For more information on the course content please see the Training and Development section of the website. To book your place please email info@ikba.ie or call 086 8354264.